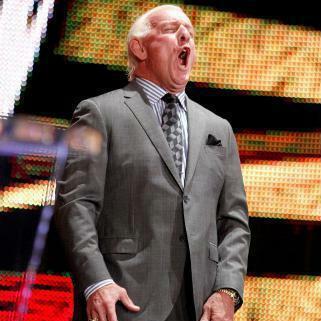 Scroll below this Naitch Pic to read why Flair STILL Equals Ratings.........Woooooooo!!!!!!! Big News on Flair's Tremendous Ratings Power this past Monday on "WWE Monday Night Raw"......The Nielsen Ratings have reported that when Ric Flair was on TV Raw's Ratings jumped from a 4.1 to a 4.7......That means during Flair's Quarter Hour Rating a Whopping 600,000 people turned the channel from something else to Raw just to see Flair......600,000 people, think about that for a minute Flair fans, that is over half a Million People......Flair consistently garnered the Highest Quarter Hour Ratings over everybody else during the WCW-WWF Monday Night Ratings War in the 90's and here it is 2012 and at 63 Years of Age he is STILL "The Man" when it comes to Ratings.....Numbers don't Lie.....FLAIR EQUALS RATINGS.....Woooooooo!! !